Royal Navy crew, featuring Captain Maynard and his Marines who famously hunted down and put an end to the pirate Blackbeard and his crew. Captain Maynard with sword and pistol. Marine Lt. Wittington with sword and pistol. 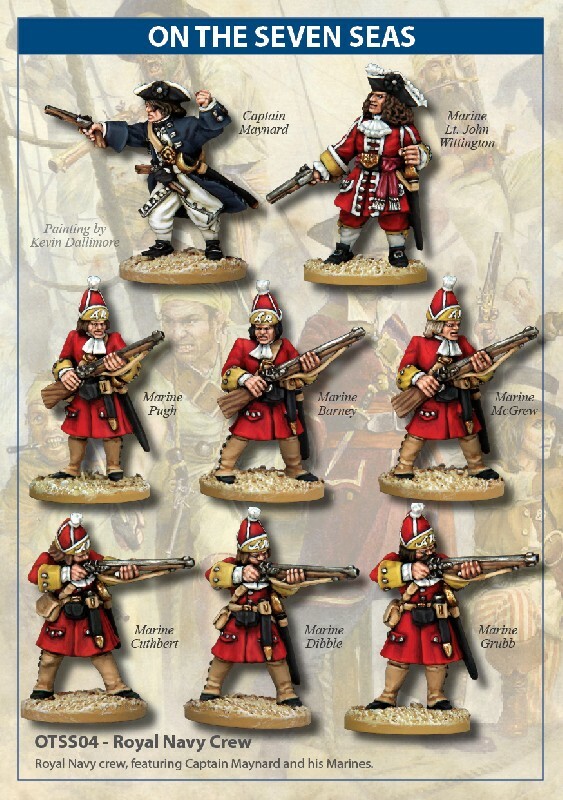 Royal Navy crew is a licensed box set of figures designed for use with Osprey Wargames 'On The Seven Seas' game of pirate warfare. 'On The Seven Seas' is copyright Osprey Publishing 2014. Royal Marine Crew miniatures are all copyright North Star Military Figures Limited 2014.